Mr. CK Ranganathan, the founder of CavinKare, was born in Cuddalore, Tamil Nadu. He was born to parents who had a primary interest in education. After obtaining his Bachelor’s Degree in Chemistry and a brief stint in the family business, he decided to carve his own path in the business. After a challenging start, he finally set up Chik India in 1983 with Chik Shampoo as his introductory product. The company was renamed as Beauty Cosmetics Pvt. Ltd. in 1990 and was subsequently rechristened as CavinKare Pvt. Ltd. in 1998. 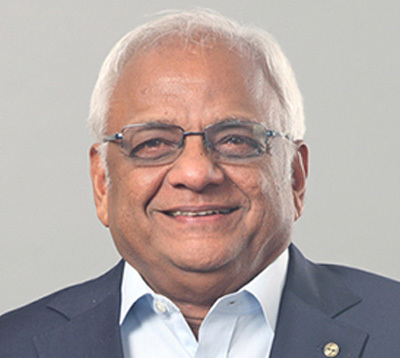 A pioneer of innovation, Mr. CK Ranganathan has shaped the company to create innovative products by combining the best of nature and technology to improve the lifestyle of consumers. Under his inspiring leadership, the company while expanding into Personal Care, also diversified into Food, Beverages, and Dairy categories, both in domestic and international markets. Under Mr. CK Ranganathan’s guidance, Trends in Vogue pioneered the concept of ‘family salons’ in India and was the first to channel this industry into an organized salon chain sector with its specialist brands – Limelite and Green Trends. Trends in Vogue had a perspicuous focus to provide grooming and personal styling solutions to men, women, and children. Mr. CK Ranganathan was conferred the prestigious, entrepreneur of the Year Award by the Economic Times in 2004. He was the Chairman of Confederation of Indian Industry (CII), Tamil Nadu State Council for the year 2009-2010. 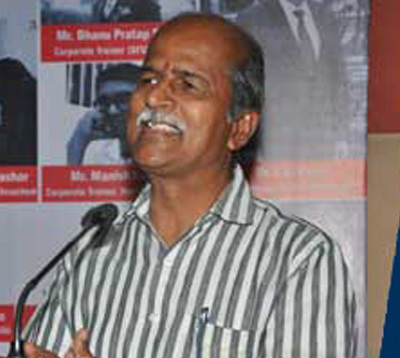 He is the former president of the Madras Management Association. Mr. CK Ranganathan is one of the founding members of the Ability Foundation – an NGO working towards the rehabilitation of the physically challenged. He also instituted the CavinKare Ability Awards in 2003 to celebrate the exemplary spirit of individuals who have risen above their physical limitations to display great achievements in life. In order to encourage the spirit of entrepreneurship, Mr. CK Ranganathan has instituted the Chinnikrishnan Innovation Awards in 2011 in memory of his father, the late Shri. R. Chinnikrishnan. The award seeks to identify and promote entrepreneurs running small businesses built on innovative ideas. Mr. CK Ranganathan’s endeavour of philanthropy and giving back to society has also extended to the educational field. 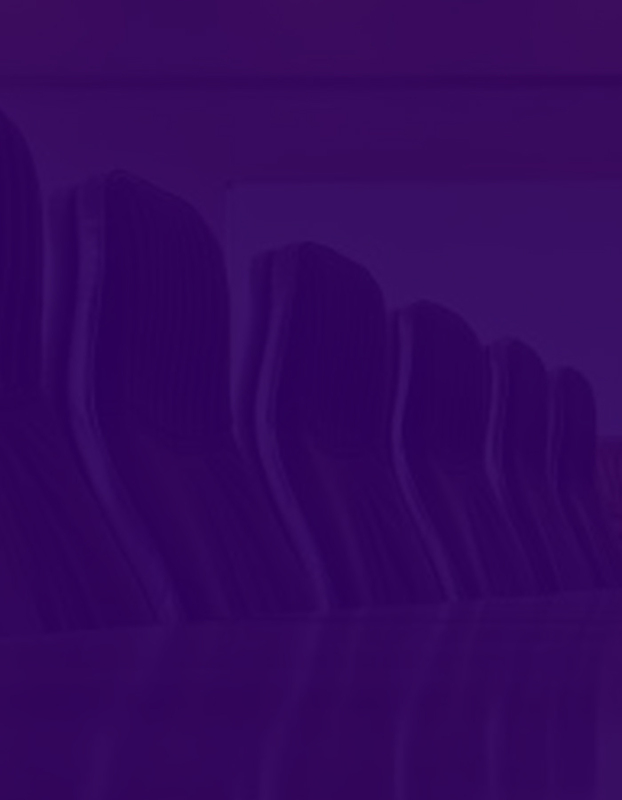 CavinKare patronizes a few public charitable trusts that run schools and colleges. Notable among them are the CK School of Practical Knowledge, a one-of-a-kind school in India that offers practical education to students from classes pre-kg to the 12th standard; the CK College of Engineering & Technology; and an MBA institute in Cuddalore. The latter two institutes aim to provide world class professional education to people in the rural and coastal regions of Tamil Nadu. Bhaskar Bhat assumed the position of Managing Director of Titan Company Limited on 1st April 2002. He is a B.Tech (Mechanical Engineering) degree holder from IIT – Madras, and a post graduate diploma holder in Management from IIM – Ahmedabad.. Most of Bhaskar’s working experience has been in Sales & Marketing. Having started his career as a management trainee with Godrej & Boyce Manufacturing Co. in 1983, he moved on in 5 years and joined the Tata Watch Project initiated at Tata Press Ltd. Since 1983, Bhaskar has been associated with the Tata Watch Project which is now known as Titan Company Ltd. At Titan, Bhaskar dealt with Sales & Marketing, HR, International Business, and various other general managerial assignments. Bhaskar is also a member of the Governing Council at the T.A. Pai Management Institute in Manipal, and the SDM Institute of Management and Development in Mysore. He was awarded the Distinguished Alumnus Award of IIT Madras in 2008. Ambi as he is known, is a Chemical Engineer from IIT Madras (Indian Institute of Technology) and an Honour Roll Management Graduate from IIM Calcutta (Indian Institute of Management). In a career spanning three decades he has handled assignments in Marketing, Sales and Advertising with companies like Rediffusion DY&R, Boots Company and UDI Yellow Pages before dropping anchor at Draftfcb-Ulka Advertising over two decades ago. He has had a key role in the transformation of Ulka Advertising into Draftfcb Ulka Group with interests in media, consulting, digital, advertising and healthcare. He has helped build numerous brands including Digene, Brufen, Santoor Soap, Sundrop Cooking Oil, TCS, ICICI Bank, Wipro, Tata Indica Cars, Zee TV, Sunfeast, UTI among others, covering diverse categories such as automotives, healthcare, telecom, FMCG, corporate etc. Ambi has been contributing articles to premier business publications, has conducted seminars and branding workshops for Indian/ MNC organizations and industry bodies like CII, FICCI, AIMA etc. ; He has spoken at international forums including the Kellogg India Summit at Northwestern University and Cornell University; he has also been a guest faculty at several business schools in Mumbai, ISB, IITs and at his alma mater, IIM Calcutta. He has also presented papers at international conferences of Association for Consumer Research. Ambi now has six books to his credit including : “FCB-Ulka Brand Building Advertising – Concepts and Cases”; “Understanding Consumers – Building Powerful Brands Using Consumer Research”; “Building Brand Value – Five Steps to Building Powerful Brands” (Winner of 2007 NTPC – DMA Book Prize). All his books find use in marketing and advertising education across business schools in India. 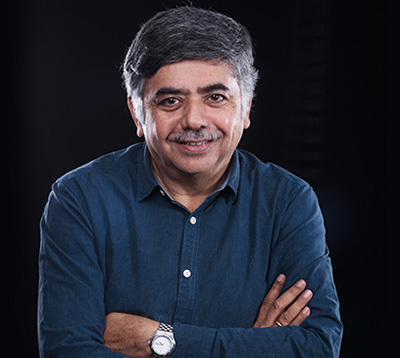 Ambi is involved in several industry organizations such as AAAI, CII, IAA and has served as the President of Advertising Club Bombay (possibly the biggest club of its kind in the world) during the period 2003–05. He was inducted into the Board of Governors of IIMC in 2007 and he received the Distinguished Alumnus Award from IIT Madras in April 2009. Last but not the least, he successfully completed his PhD from Mumbai University in August 2012, his thesis work is in the area of religiosity and consumer behavior. N Kumar is an Electronics Engineering Graduate from Anna University, Chennai. He is on the Board of various public companies and carries with him vast experience in the spheres of Technology, Management and Finance. As a spokesman of Industry and Trade, N Kumar is a Past-President of Confederation of Indian Industry (CII) and has participated in various other apex bodies. N Kumar has a wide range of public interests going beyond the confines of corporate industrial management in health, social welfare, education and sports. One special area where he and the Group are involved is a Centre for Exceptional Children called the Madhuram Narayanan Centre. N Kumar is the Honorary Consul General of Greece in Chennai. Madhavan Nambiar specialises in the policy and practice of infrastructure development, innovative emerging industries, and the design and management of government-industry partnership. 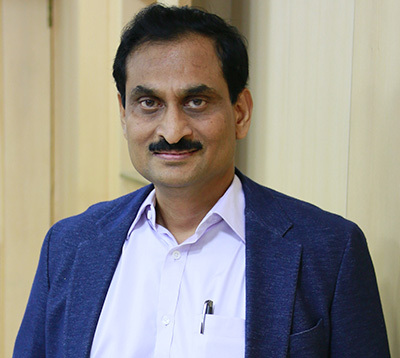 His 36-year record of public service as an officer of the Indian Administrative Service has seen policy, programme, and regulatory work across key infrastructure and industrial sectors, culminating in his appointment as Secretary to the Government of India at the Ministry of Civil Aviation. Mr. Nambiar has led major national and State infrastructure programmes. As Secretary, Civil Aviation, Mr. Nambiar directed the design and development of some of India’s largest public-private partnership (PPP) projects, formulating core financial and coordination frameworks for Indian airport development. These now constitute the national policy standard, and have been used to develop India’s two largest airports. As chairman and managing director of Tamil Nadu’s apex industrial development agency, TIDCO, Mr. Nambiar conceptualised and commissioned the State’s first public-private toll road project; the State’s first information technology (IT) park, TIDEL; and its first biotechnology park, TICEL. Mr. Nambiar has also developed policy ecosystems for innovative, emerging industries. At the Department of Information Technology, he led the formulation of India’s first Semiconductor Policy (and its accompanying incentive programmes), and policies for electronics hardware manufacturing; the reworking of national law and regulation to facilitate a growing IT industry; and the establishment of India’s first cyber security and emergency response agency, CERT-IN. A Fellow at Cambridge University’s Judge Business School, Mr. Nambiar has taught public policy at Oxford and Columbia Universities. 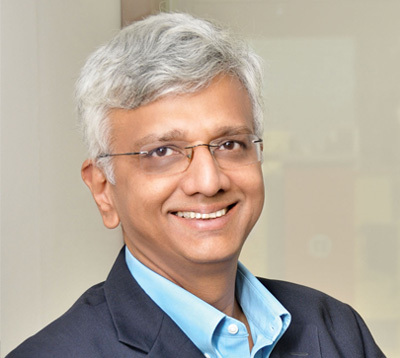 He holds a master’s degree in business administration from the Faculty of Management Studies, Delhi University, and a bachelor’s degree in economics from Loyola College, Madras University. Mr. Ravi Sam serves as Managing Director of Adwaith Textiles Ltd. and Adwaith Steels Ltd. Mr. Sam serves as Non Executive Director of Super Sales India Ltd. Mr. Sam has more than 20 years of experience in Textile Industry. Mr. Sam serves as a Directors of Titan Paints and Chemicals Limited, Adwaith Steels Limited, Adwaith Textiles Limited, Lakshmi Ring Travellers (Coimbatore) Limited, Adwaith Textiles Exports Limited, Sigma Link Limited, Sri Kamakoti Kamakshi Textiles (P) Limited, Jay and Jay Enterprises Limited and Lakshmi EcoResins India Limited. 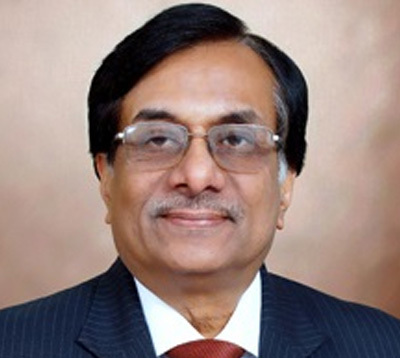 He has been Independent Director of Parry Agro Industries Limited since 1997. Mr. Sam is a Graduate in Commerce and holds a Masters Degree in Science (Textiles) from the University of Manchester. 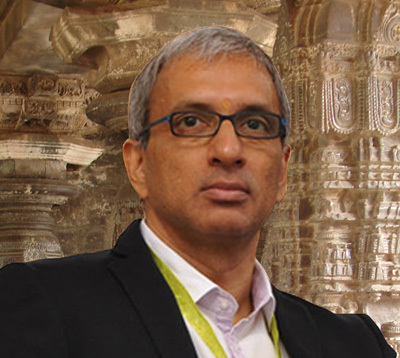 AlwarThothathri Raman, the Internationally acknowledged higher education quality champion is also a highly accomplished business journalist who has held senior editorial positions in leading business dailies and magazines of India. The list includes, Financial Express, Business World, Business Standard, The Hindu business page, The Economic Times, The Observer of Business and Politics, The Indian Management Journal and Business India, where he last held the position of a senior Editor. He has over 30 years of experience of being a business journalist. He has over 10,000 features and articles to his credit in over 100 industry topics. The pioneering spirit of Mr Raman has continued in management education field as well with his initiative to bring out scientific Rating and Ranking of business schools for the first time in India in the year 2000. Mr Raman also went on to found Standards for Educational Advancement & Accreditation (SEAA) Trust , New Delhi an international accreditation advocacy and facilitation agency. SEAA has over the past six years since its founding in end of 2008 has been able to bring on its platform all the top rated accreditation agencies of the world including the AACSB International, EFMD, Association of MBAs, ACBSP, IACBE, the British Accreditation Council, the South Asian Quality Systems among others. The agency also became the second institution of India to become a member of the CHEA International Quality Group, the non – profit influential quality advocacy forum. The Peregrine Academics is an academic partner to SEAA in introducing student learning outcome evaluation processes in India. He was also represented in the National Board of National HRD Network, the premier association of HR professionals in India for three years till -2001 and helped bring out the HRD Newsletter of the Association. Mr Raman received Frank V Mastrianna annual award as “Education Leader of the Year” in 2014 from IACBE, a CHEA approved accreditation agency at an award ceremony in San Diego, USA. Academic Qualifications Graduate in Economics from Madras University 1979 with distinction. Post Graduate in Journalism and Mass Communication Annamalai University 1997. Currently pursuing PhD in Management “Measuring Managing Intellectual Capital in Indian Business Schools” in Haryana School of Management of University of Guru Jambeshwar, Hisar, Haryana.